By Nancy Young in UI/UX. Updated on January 14, 2019 . Brought to you by a team of students designers at the University of South Dakota, NASA Prospect is an interactive story of two prospectors from Earth, Nicolas and Ema, who are trying to find remnants of human music contained in the golden recorders. The site’s catchy music changes as you scroll down. 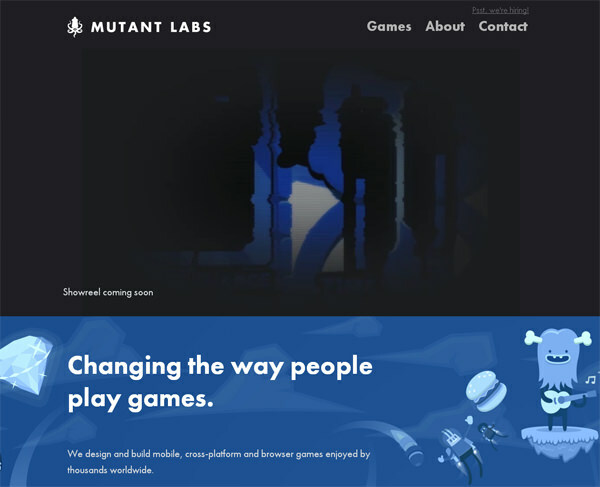 A website with design elements befitting a creative studio that dabbles with innovative games on multiple platforms. 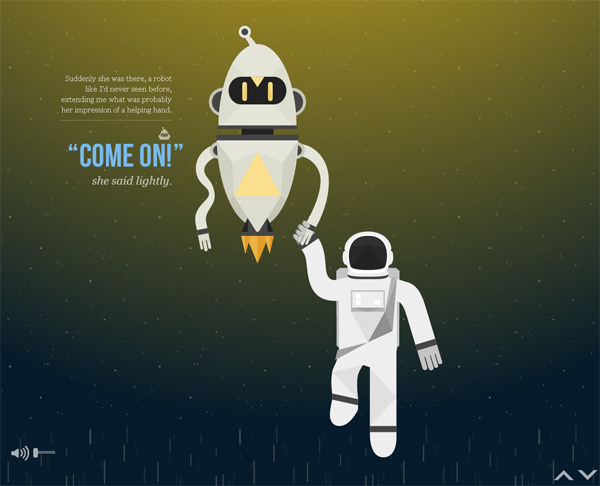 A great parallax scrolling website with vivid colors and cool 3D visual effects. All that combine to produce an experience that transcends that of an ordinary product commercial. 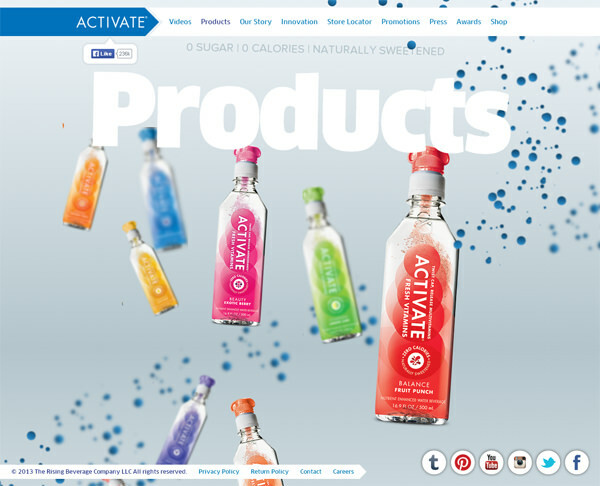 Another example of a website that makes good use of creative design elements to promote its products. 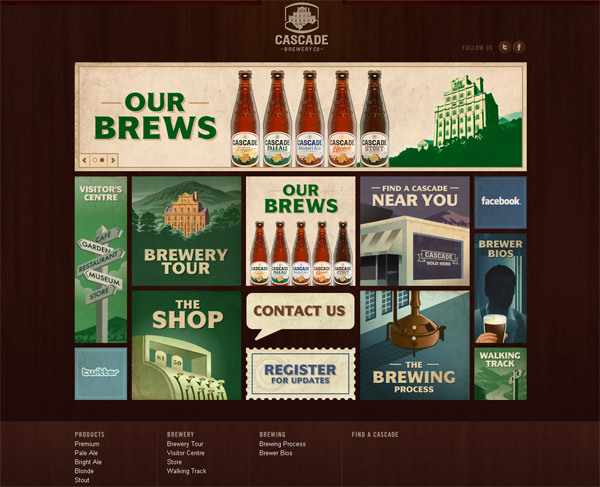 Its products are laid out nicely with easy navigation options. Confused with what happened in Inception? If you still want to know, this website breaks down the movie plot in easily digestable chunks, going down level by level all the way to limbo. 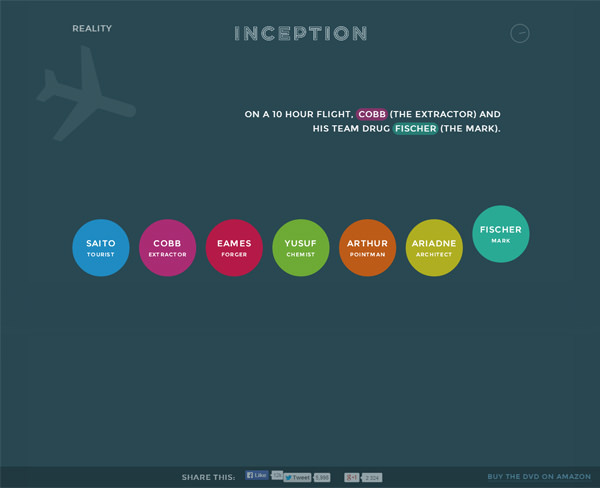 Yes, the colorful and attractive design elements and great use of scrolling really helps the storyline. 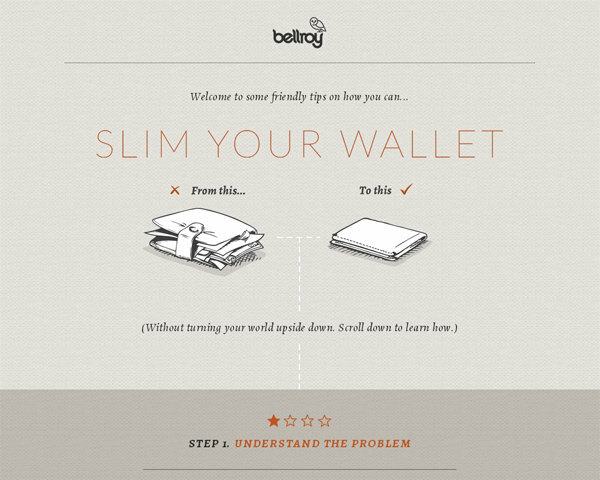 Bellroy, a wallet manufacturer, has a special page on their website called "Slim Your Wallet". It’s full of quick tips on how to help your wallet "lose the bulge". 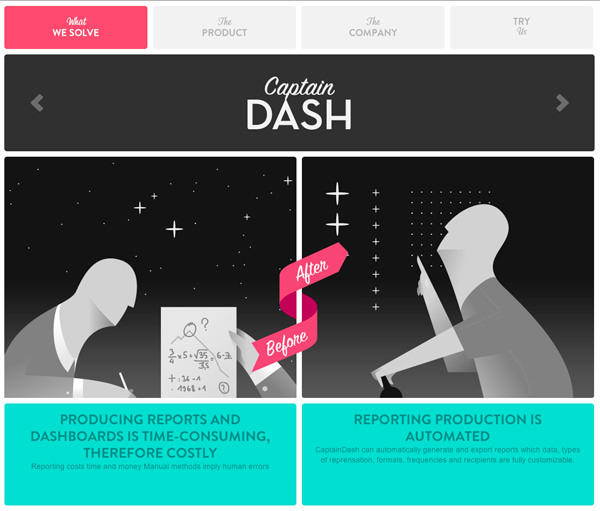 Meet Captain Dash, a superhero who lives in the new world of intelligent marketing. Captain Dash has the superpowers to help his clients with an array of innovative marketing tools. 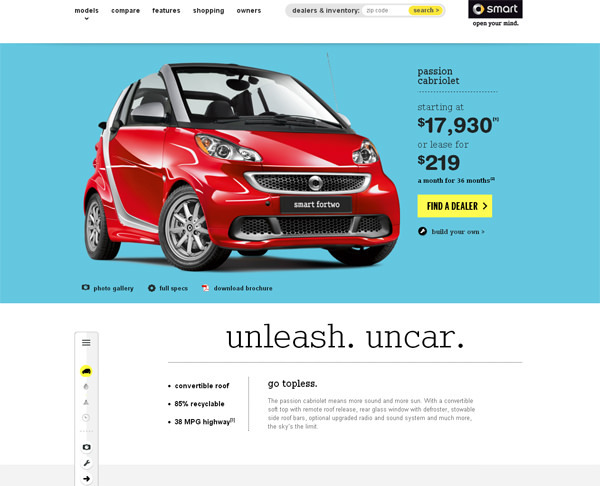 A cool website for one of the most eco-friendly line of cars on the market today. 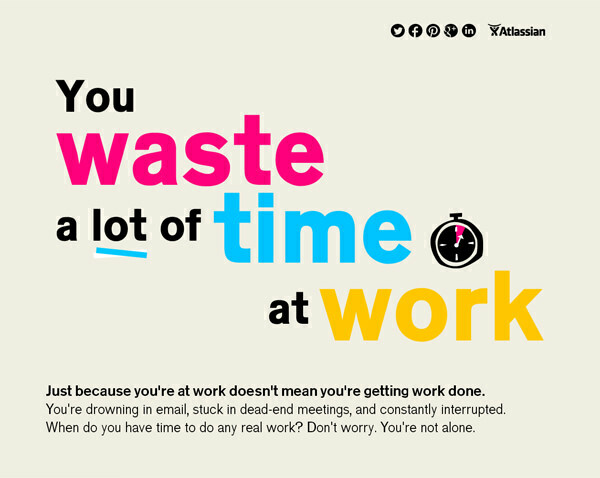 A meaningful infographic on how people usually waste their time at work. Full of fun facts you probably don’t know and a funny timer that says how long you have wasted reading the infographic when you should be doing work. 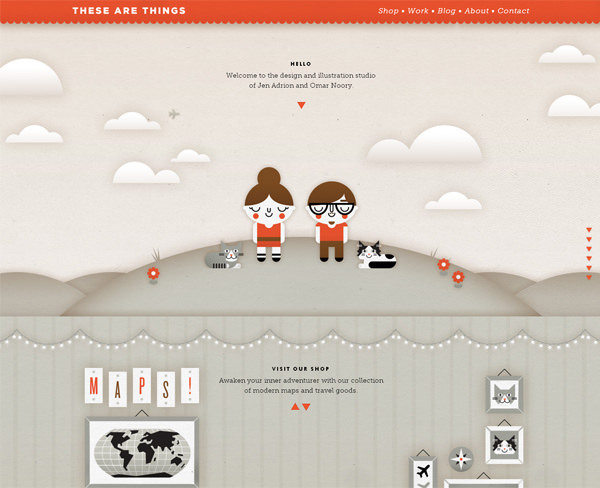 A lighthearted website with lots of cartoon illustrations, created by Jen Adrion and Omar Noory. Follow the cartoon girl (Jen) and cartoon boy (Omar) as they walk you through the different website sections and history behind their creative studio. This cool website will give you a sense of how far Mars is from our planet. 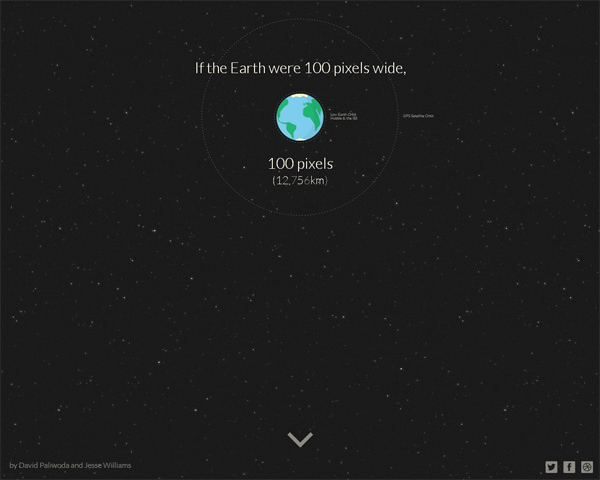 By imagining that Earth is 100 pixels wide, the website will take you through the Solar System at a speed of 7,000 pixels per second until you finally reach Mars, 428,000 pixels away. This is more of a fun experiment, 19 kilometers long. It’s a CSS experiment designed to keep you scrolling down all day long (or just take the elevator).